The library will close at 5 pm (one hour early) on Tuesday, December 4. The Library Board is seeking a new member. One person to represent Wabasha County (must live anywhere in Wabasha County) for term to begin January, 2019. The Board meets monthly on the 2nd Thursday, at 7 p.m. 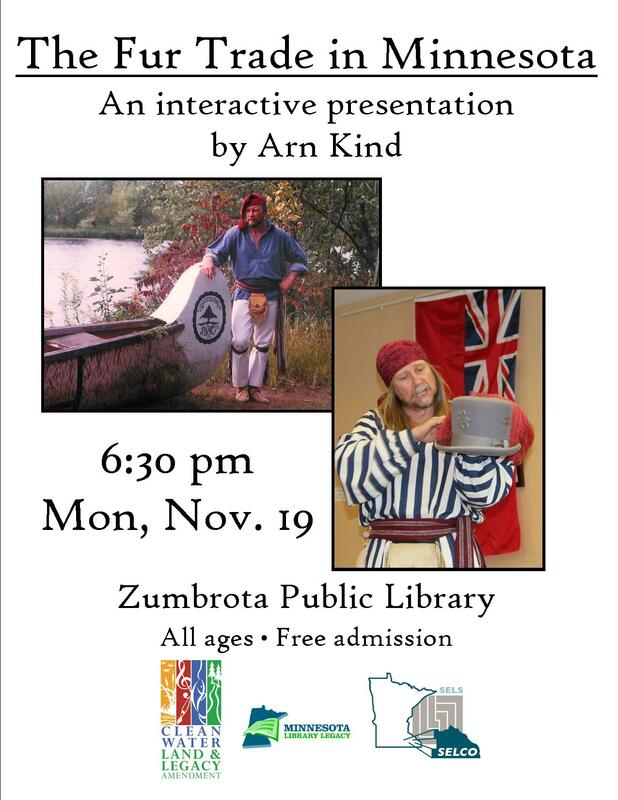 Interested parties may pick up an application at the library: 100 West Ave., Zumbrota, MN 55992. Applications are due Thursday, December 13. The library will be closed on Thanksgiving, Thursday, November 22. We will be open normal hours on Friday, Nov. 23 and Saturday, Nov. 24. The library will be closed on Monday, November 12 in observance of Veterans Day. Story time is every Tuesday morning at 10:30 am.